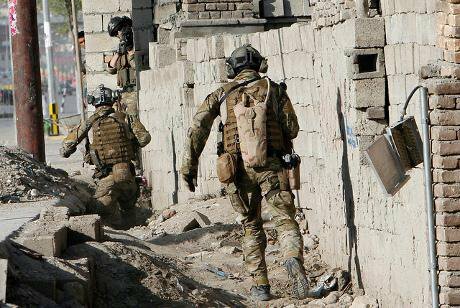 On their way out: Norwegian special forces in a gunfight with the Taliban in Kabul. Flickr / Metziker. Some rights reserved. Since Ashraf Ghani’s ascent to power in Kabul as president—with his electoral rival, Abdullah Abdullah, as chief executive—the political climate in the region has taken a positive turn. Ghani’s victory, after a long stand-off with Abdullah over the legitimacy of last year’s election outcome, was a positive omen for Afghanistan. The US secretary of state, John Kerry, intervened to break the deadlock between the two men, against the backdrop of the departure of US forces by the year end and the prospect of a full withdrawal of Western forces by the end of 2016. The end to the power struggle in Kabul facilitated the signing of the Bilateral Security Agreement between the US and Afghanistan, long deferred under Ghani’s predecessor, Hamid Karzai. The accord would allow a limited contingent of US-led forces to remain in the country to train their Afghan counterparts and carry out co-ordinated operations against the militants. Most importantly, Ghani has given a clear indication of his regional priorities and alliances through visits to China and Pakistan. Since the deadly December school attack in Peshawar, Pakistan’s army chief, General Raheel Sharif, has also made a couple of high-profile visits to Kabul, seeking assistance and co-operation with Pakistan’s operations against fighters on the border. These developments, surprising to many, have set a positive tone in both Kabul and Islamabad, in what seems to be a reboot of Pakistan’s foreign policy towards Afghanistan. In light of Afghanistan’s reservations about Pakistan’s alleged support of the Taliban, the civil-military leadership in Islamabad seems to have decided to shun its ‘strategic assets’ in that regard. Afghanistan’s reservations have stemmed from the fact that Pakistan has long maintained the policy of ‘good’ versus ‘bad’ Taliban, and thus hesitated in going all-out against the notorious Haqqani network, known for its militant activities in Afghanistan. But it seems that General Raheel, on his recent visit to Kabul, assured the Afghan leadership of tackling all militant outfits in the Federally Administered Tribal Areas along the border. Pakistan has also mediated in initiating a peace dialogue between the Taliban and the Afghan government, as Ghani appears to seek an end to the 14-year long bloodshed in his country since ‘9/11’. He has taken into his confidence high-profile leaders and former jihadists to formulate a mechanism and a roadmap for any possible talks. Ghani’s proactive optimism for peace in the region, though taken seriously by Pakistan, has been severely criticised by some of his rivals, especially from the north of Afghanistan (Taliban support is concentrated in the Pashtun-dominated south). From the standpoint of women’s organisations, domestically and internationally, moreover, there is concern that the women’s rights hard-won in years since the Taliban were deposed could be sacrificed for a deal with the fundamentalists. A significant number of Afghans also criticise Pakistan for its double standards when it comes to peace talks with the militants. While Islamabad openly supports a dialogue between the Taliban and the Afghan government, leading to the former’s potential re-inclusion in the state set-up, it would never allow any faction of the Taliban to take over any part of Pakistan. Ghani is more of a straight talker than his predecessor. While Karzai did his best to please everyone and changed his statements with time, Ghani seems to have stuck with his peace agenda and plans to do whatever it takes for his country’s stability. Whereas Karazai used to call Pakistan ‘a brother’ when in Pakistan, and ‘an enemy’ when in Afghanistan, Ghani has been more consistent. He also seems to have sent a clear message to the Pakistani leadership—that there is no alternative to both countries working together. With a strong background in statebuilding and economics, Ghani understands the consequences if talks with Pakistan go south. A common denominator bringing Afghanistan and Pakistan closer is China. Beijing’s irreplaceable partnership with Pakistan and its economic interests in Afghanistan have the potential to work wonders for the region. China is fighting a Muslim Uighur insurgency in its Xinjiang province, with a number of militants receiving their training in Afghanistan and Pakistan. This gives China a strong reason to take a serious interest in durable peace efforts in the region. While this convergence of China, Pakistan and Afghanistan seems promising, excessive optimism would be premature. A true picture on the practicality of peace dialogue with the Taliban is only possible after a full pull-out of coalition forces from Afghanistan. A lot will then depend on Pakistan in terms of ensuring the stability of its neighbour. If it fails to honour the goodwill shown by Ghani and the Afghan government, long-lasting peace could quickly be off the table, once and for all.